Click here to see a list of the KN-02 tests. Ballistic and Cruise Missile Threat,” Air Force ISR Agency, 2013, accessed June 17, 2014,http://www.afisr.af.mil/news/story.asp?id=123355694 . Daniel Pinkston, “The North Korean Ballistic Missile Program,” Strategic Studies Institute, accessed June 17, 2014, http://www.strategicstudiesinstitute.army.mil/pdffiles/pub842.pdf . “Kn-02 Ballistic Missile,” Military Today, accessed June 17, 2014, http://www.military-today.com/missiles/kn_02.htm . Kim Eun-jung, “N. 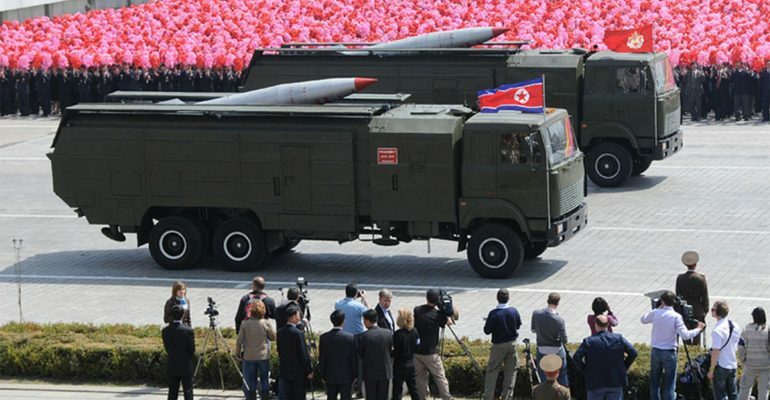 Korea Has 100 Kn-02 Missiles with Extended Range,” Yonhap News Agency, May 3, 2014, accessed June 18, 2014, http://english.yonhapnews.co.kr/news/2014/03/05/99/0200000000AEN20140305002300315F.html?76518000 . Oliver Woodman, “An Introduction to Inertial Navigation,” University Cambridge: Computer Labratory, August, 2007, accessed July 1, 2014, http://www.cl.cam.ac.uk/techreports/UCAM-CL-TR-696.pdf .